Swan River Adult Education Inc. is funded by the Province of Manitoba and is managed by a volunteer Board of Directors. We are a community-based program with individualized instruction for adults 19 years of age and older. At Swan River Adult Education, our learners study in a relaxed, informal adult-friendly environment. Swan River Adult Education operates out of two sites within the Town of Swan River- the main downtown location (Site 1) and a second site (Site 2) located within the Swan River Friendship Centre. Thursday, June 22nd, 2017, Swan River Adult Education celebrated the hard work of 9 graduates. 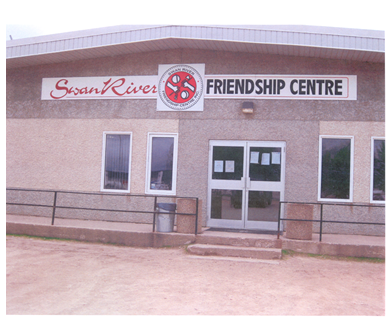 Swan River Adult Education operates out of two sites within the Town of Swan River- the main downtown location (Site 1) and a second site (Site 2) located within the Swan River Friendship Centre. Each site has specific qualities which serve the diverse needs and learning styles of the adult learner population. The larger, spread-out setting of the Friendship Centre meets the needs of many who prefer to work independently and/or are kinesthetic learners. They have two small, enclosed classrooms as well as a public cafeteria. The Site 1 facility is smaller with an open-concept arrangement as well as a microwave and other small kitchen appliances for learners. A number of learners prefer the downtown location of Site 1 due to its proximity to elementary schools, private and community daycares, government offices, restaurants and doctors' offices. Swan River Adult Education Inc. will offer instructional and support services that are consistent with the needs of its three stakeholder groups; its funders, the adult learner population, and the Swan Valley community in which it operates. The Literacy Program will provide adult learners the opportunity to develop and enhance their print literacy, oral and written communication, computer literacy, numeracy, essential skills, pre-employment and employment skills. The Mature Student High School Diploma Program will provide adult learners the opportunity to improve their academic qualifications, essential skills and pre-employment and employment skills. All adult learners will engage in life-long learning within a supportive and respectful atmosphere. Swan River Adult Education is committed to responding opportunities and outcomes for learners.